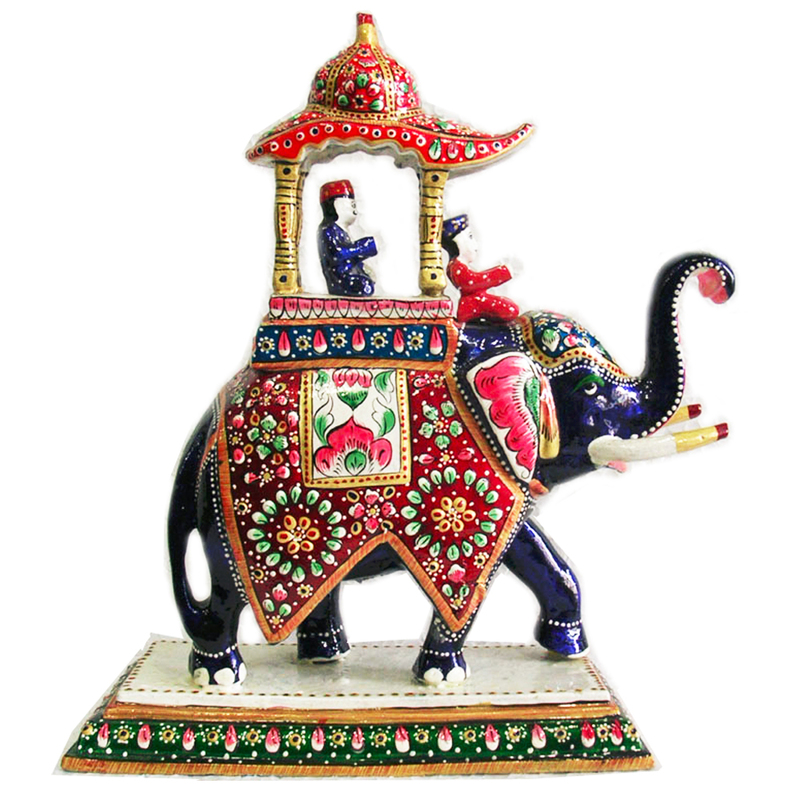 This elephant showpiece has the rich touch of royalty. It depicts the enriching rajasthani culture and tradition. The elephant with its trunk in an upward Read More..direction symbolizes victory or prosperity. The elephant is blue in color and is stationed on a square platform. There is a small shade made on the back of the elephant illustrating this to be an elephant belonging to the royal family. Show Less..